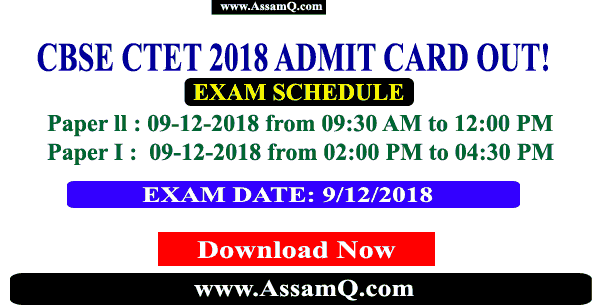 Note: Candidates can download the Admit cards on official Website www.ctet.nic.in from 22-11-2018. Candidates are advised to download their e-Admit Card from official Website only, i.e. www.ctet.nic.in to appear for the examination as the designated centres and read the instructions carefully on schedule time, prohibited items and reach the examination centre well in time to avoid any hardship.